Very clean! Room was comfortable. Perfect location for shopping and nearby entertainment. The woman that checked us in was very kind and helpful! She made us feel welcome from the moment we stepped into the building! The outdoor fire area was very relaxing! The room was beyond what we expected! Spacious room, excellent bed, very clean. Wished they provided lotion as it was quite dry. exceeded expecations, room was large and fairly quiet. Breakfast filling. Convenient location near intersection of two major freeways. Despite proximity to freeways, noise was not problematic. I loved that the room had a full kitchen. The set up for the two beds, one in a room with doors and the other up on the loft area, was fantastic. Made traveling as a family very convenient. Basic hotel. Great location right across the street from the state fairgrounds. Not a luxury hotel, but a good place to spend the night. Service was friendly. No microwave available in the room. The staff was friendly and helpful and responded quickly to any requests. The room was very clean and the bed was comfortable. Breakfast was varied and hearty. Home to the annual, Iowa state fair, and the largest city in the state, Des Moines has much more to offer to the discerning traveler. Two dreamy rivers, the Raccoon and Des Moines, offer plenty of natural beauty and city lovers will want to visit the wide array of museums and history. To aid your stay, there are a plethora of hotels suitable for whatever your trip calls for, be it boutique, business, or something inbetween. The obvious start point to Des Moines is to stay at a hotel downtown, where most of the action happens. 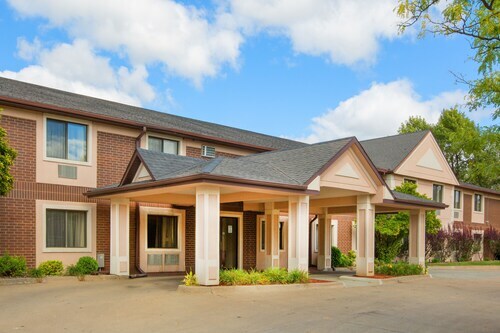 Located in the Greenwood-Ashworth Park, the Science Museum of Iowa is a great family-friendly attraction, and there are plenty of places to stay at nearby. Another great sight to see in Des Moines, located in the Western Gateway Park, is the John and Mary Pappajohn Sculpture Park, which is home to millions of dollars worth of spectacular artwork and sculptures. There is, of course, a myriad of hotels to stay at close to the Sculpture Park . Being home to living walls, stunning natural foliage and an Asian Garden, plus great views of the city, the Des Moines Botanical Center is well worth a visit. Schedule in an entire afternoon to make the most of your visit. For even greater comfort, opt for one of the many hotels nearby, so you can stay close to the scene. It is easy to spend a whole here meandering. Then, plan a getaway outside of downtown Des Moines. Here, one of the most popular things to do is visiting the Capitol Building. On top of being architecturally impressive, it promises beautiful vistas over the city. 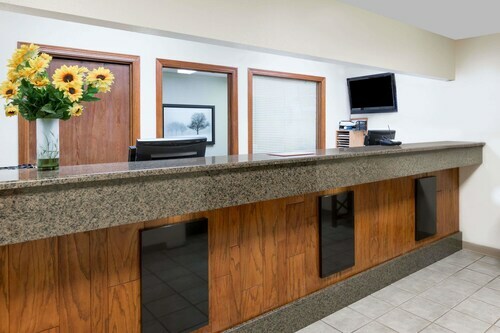 With over 40 3 star hotels in Des Moines, you can expect amenities such as high speed WiFi, delicious breakfast, and, in many cases, free airport shuttles. This makes for a smooth and relaxing holiday. 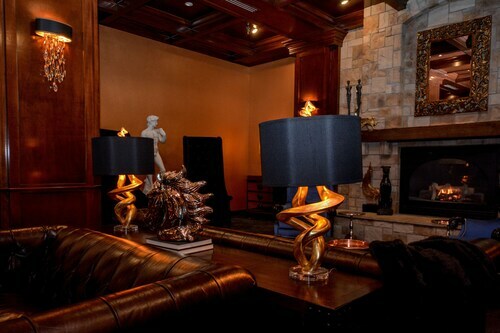 However, if you are looking for a touch more luxury, you may want to consider staying at one of Des Moines’s beautiful boutique hotels, where you will find something a little more unique. Why not treat yourself on this Des Moines getaway? The Des Moines International Airport has a whole host of non-stop flights from cities around the US, including, but not limited to, Chicago, Los Angeles, and New York City. Moreover, there are lots of hotels near the Des Moines International Airport, with many offering free shuttle services for your comfort. Pet friendly, clean, convenient, safe parking, we'll lit. The bar on the property was nice to catch a drink at before heading out for the wvenkmg. Staff was very nice to work with also. Property was very clean and the staff was amazing. Breakfast area was very crowded, but overall great hotel. Definitely would recommend.